A graveyard of mutated horror is uncovered deep inside a Russian mine. With Liz still missing and Abe Sapien lying on his deathbed, the newly international B.P.R.D. sends Kate and Johann to meet the Russian equivalent of the Bureau?which readers first saw in B.P.R.D. : 1946?and face an exploding fungus monster at the Kremlin and a spreading contagion. Collects B.P.R.D. 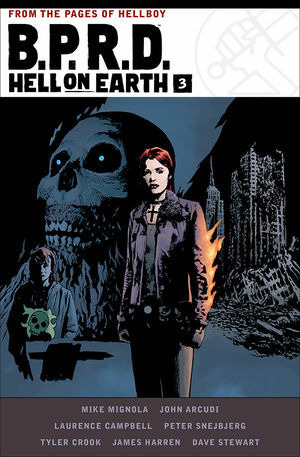 Hell on Earth: Russia #1-#5 and ?B.P.R.D. : An Unmarked Grave? from Dark Horse Presents #8. * The Russian occult bureau revealed!